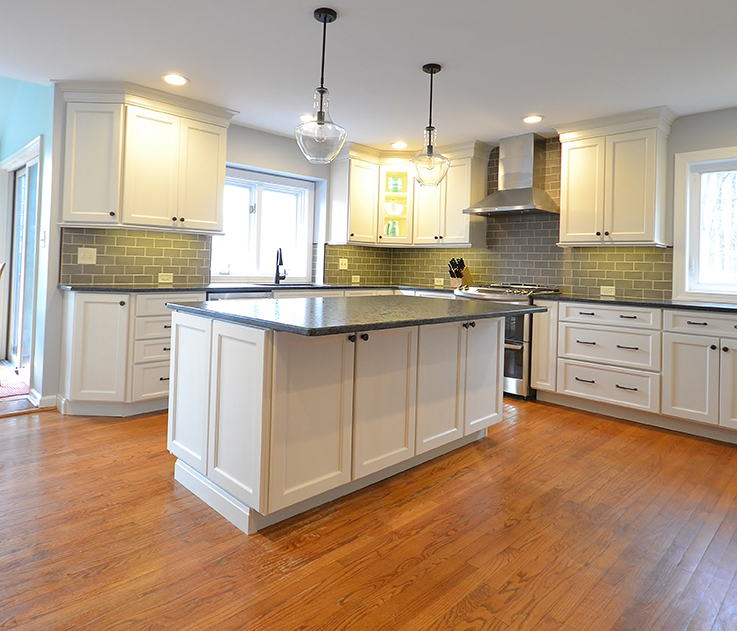 The need for a kitchen better suited to entertaining was the driving force behind the start of this great kitchen remodel. 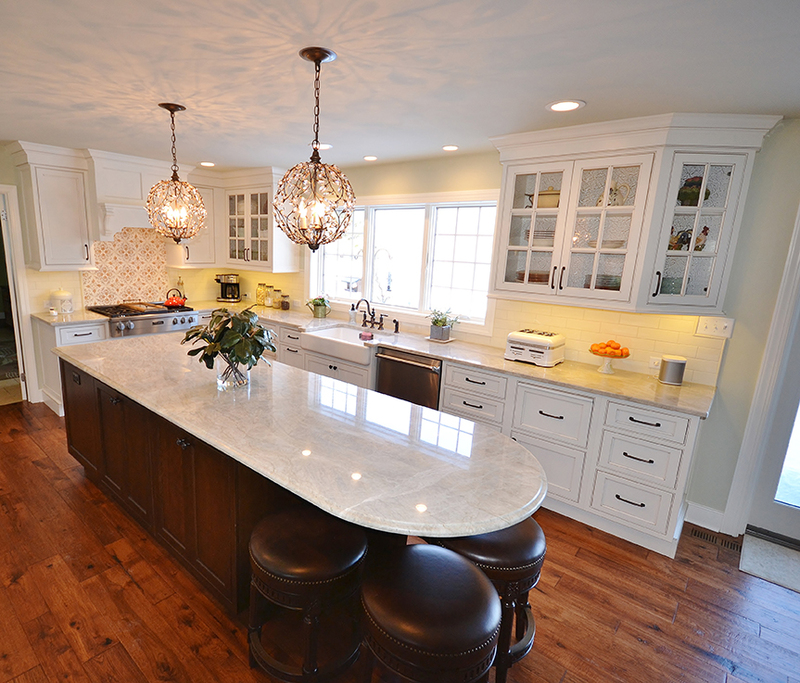 From a dark, under utilized kitchen to a bright, open white kitchen remodel! 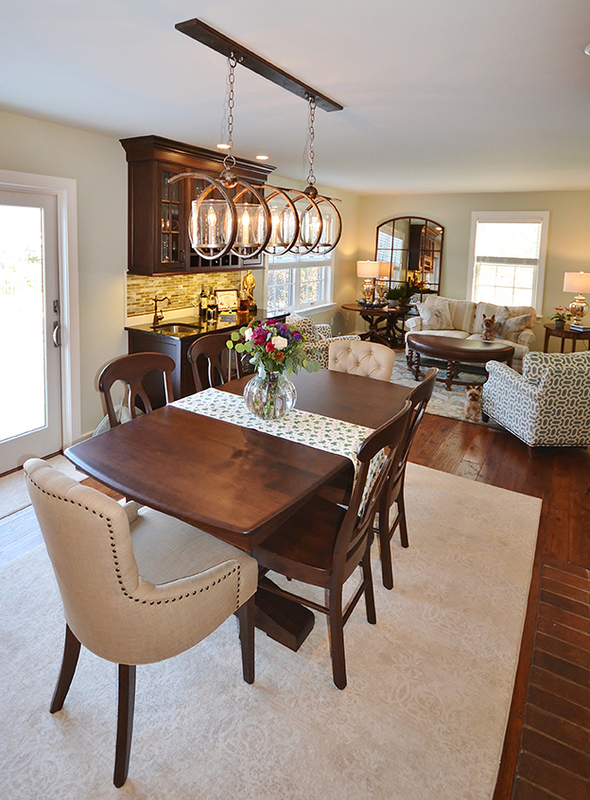 The original kitchen and adjacent living area was redesigned to encompass a new larger kitchen with semiformal eating area. 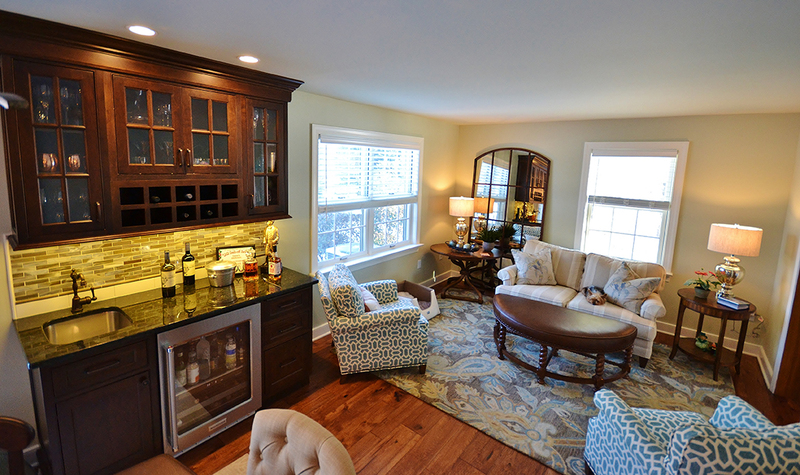 Additionally, Chester County Kitchen and Bath added a wet bar and a great cozy sitting room. 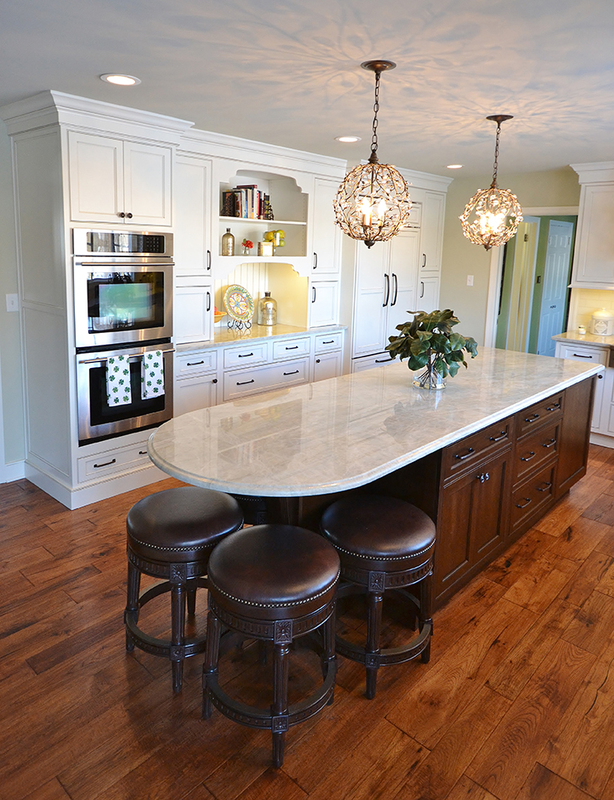 The clients Christine and Steve along with the interior designer Sharon Ryan selected excellent products and superior finishes. 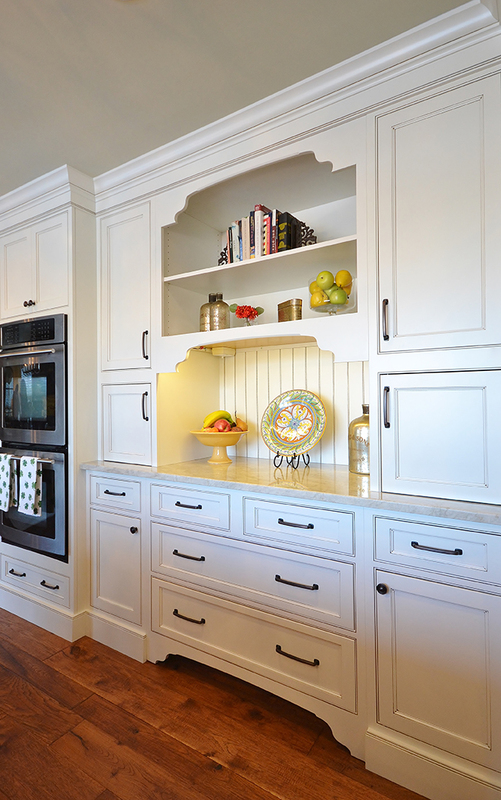 The unique details give this new kitchen and living space a fresh, new look that blends seamlessly with the rest of the home. 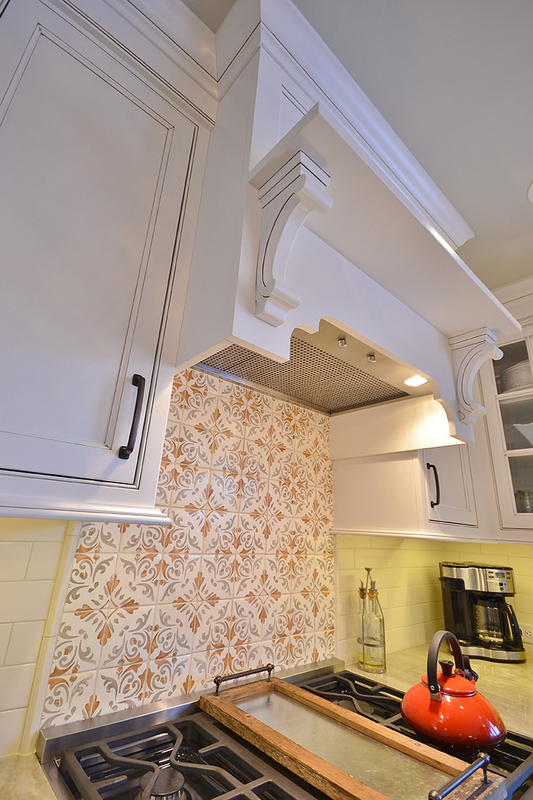 The lead kitchen designer on this project is John Noland. 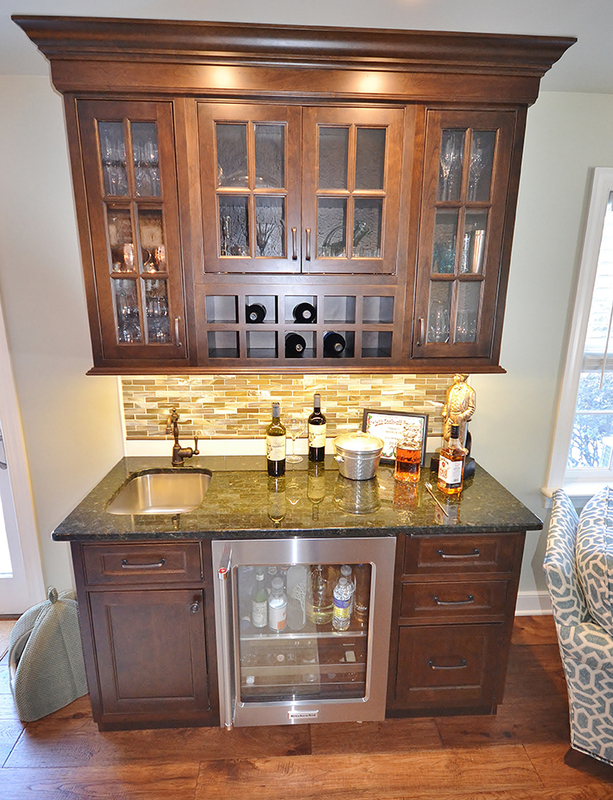 Fieldstone Cabinetry in the LaGrange door style ( Beaded inset ) is the gorgeous cabinetry Christine and Steve selected. 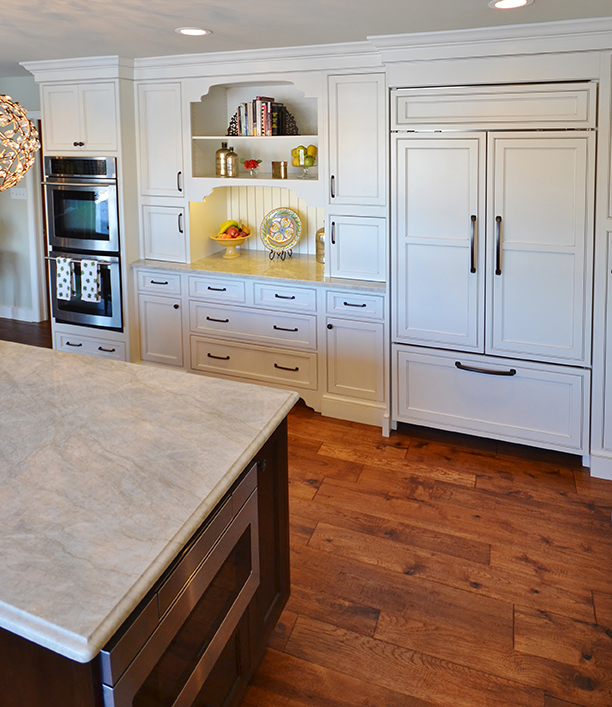 The perimeter kitchen cabinetry is Dove paint with a latte glaze finish. 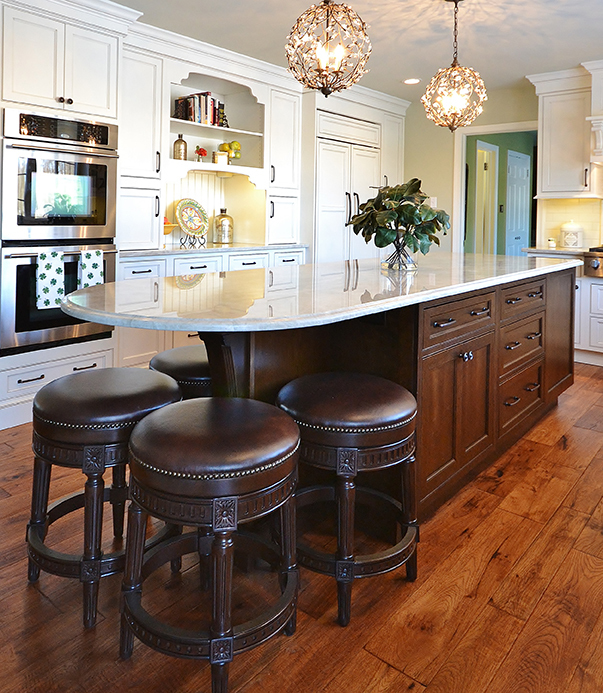 John was sure to compliment the island and bar cabinetry by selecting a Cherry wood in Hazelnut Stain. 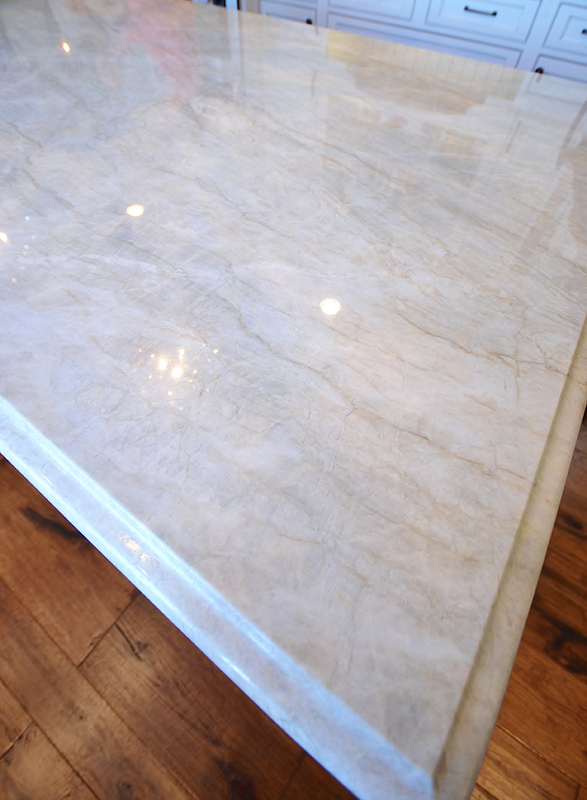 Additionally, the expansive new kitchen countertops selected are Taj Mahal Quartzite. 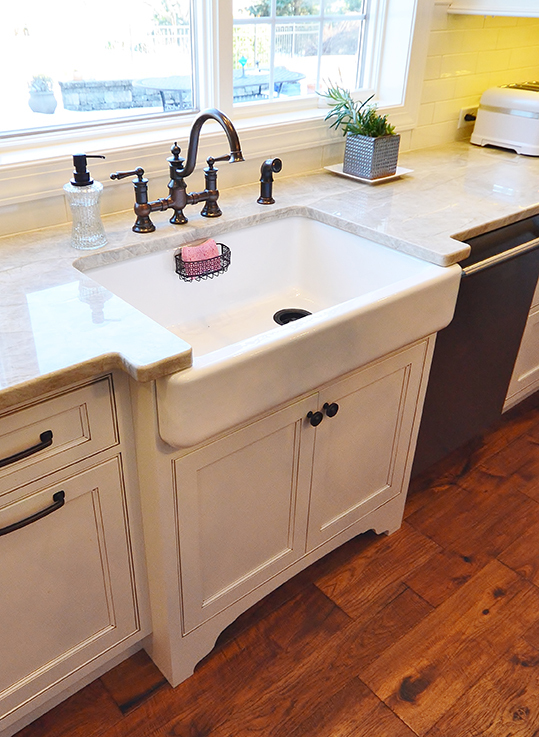 Also, a gorgeous, sleek apron-front sink by Kohler adds a beautiful touch. 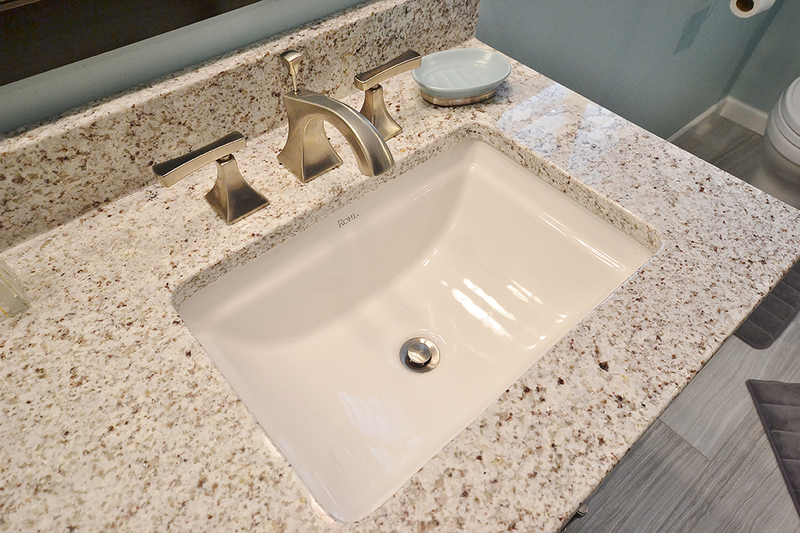 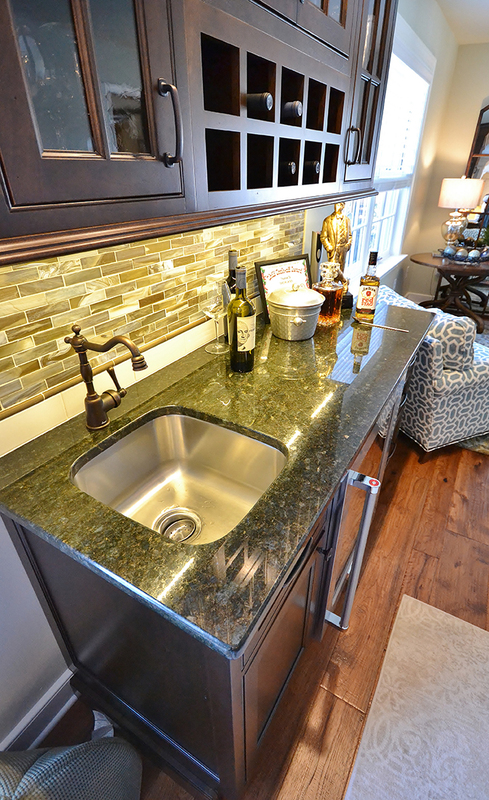 Finally, the bar top granite is Peacock with a stainless steel under-mount bar sink. 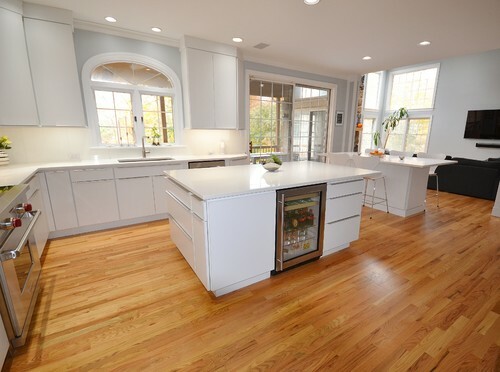 Everything from new random width hardwood flooring, window replacement, cabinetry and finishes were completed by CCKAB’s lead contractor Don Pitt and assistant Dan. 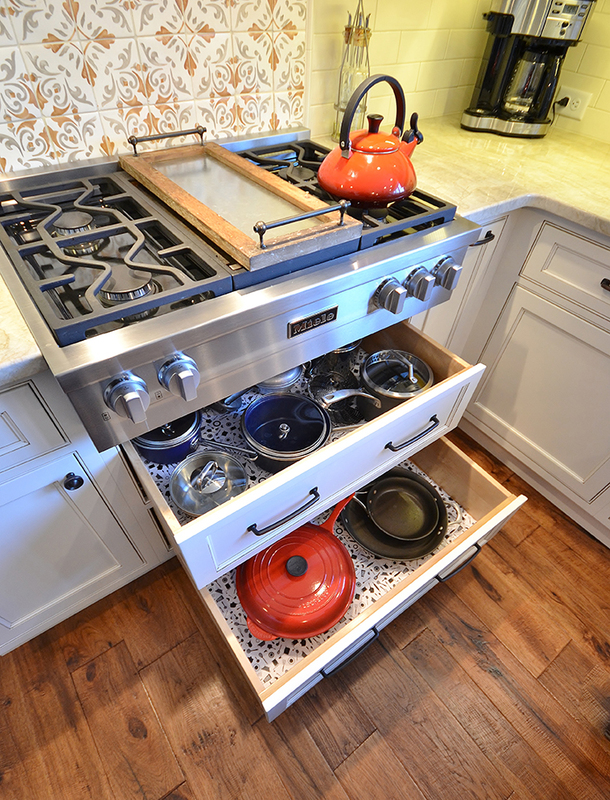 Everyone involved in this great kitchen project did an awesome job and what a result! 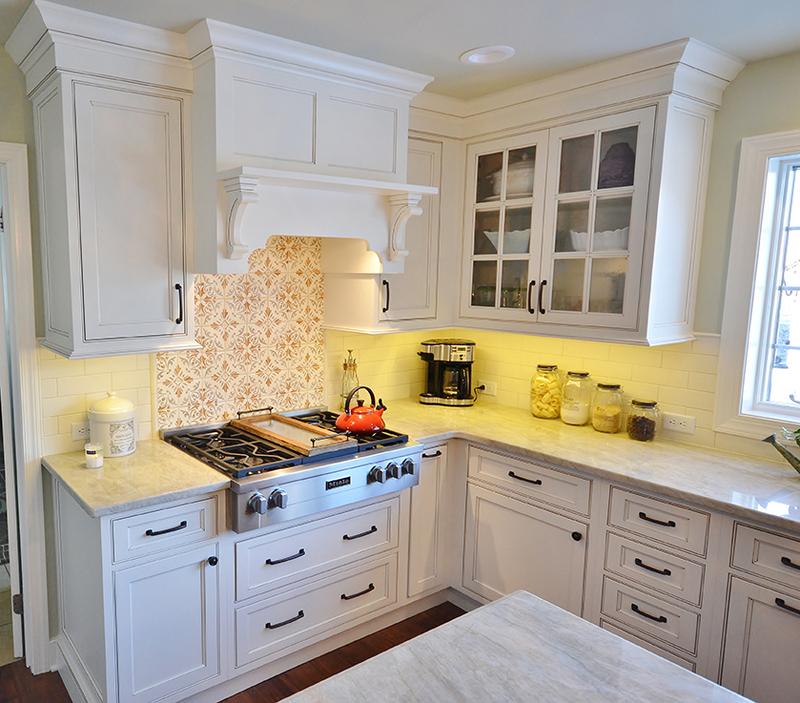 What a gorgeous white kitchen remodel! 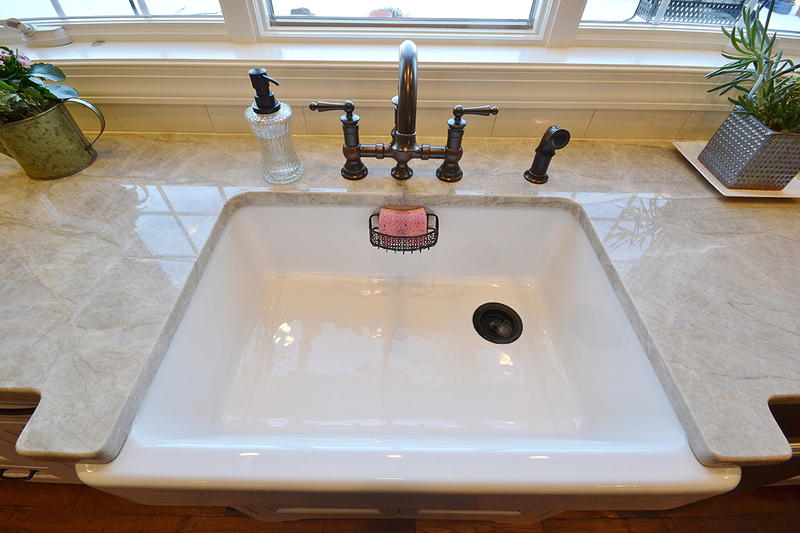 Happy customers like our work. 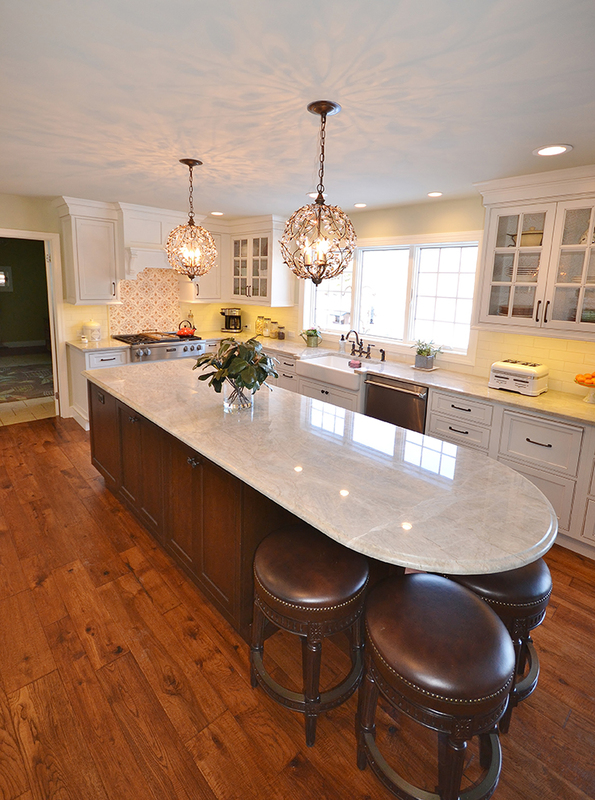 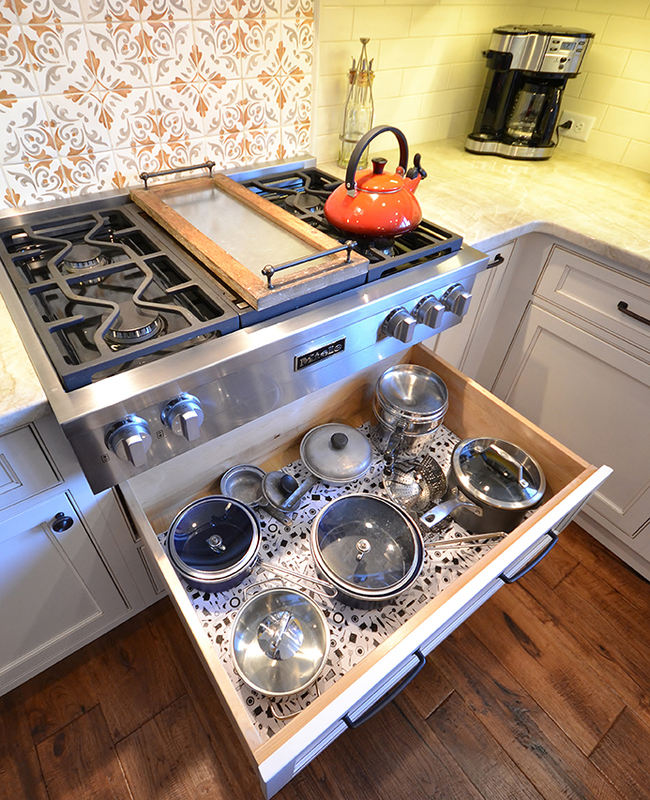 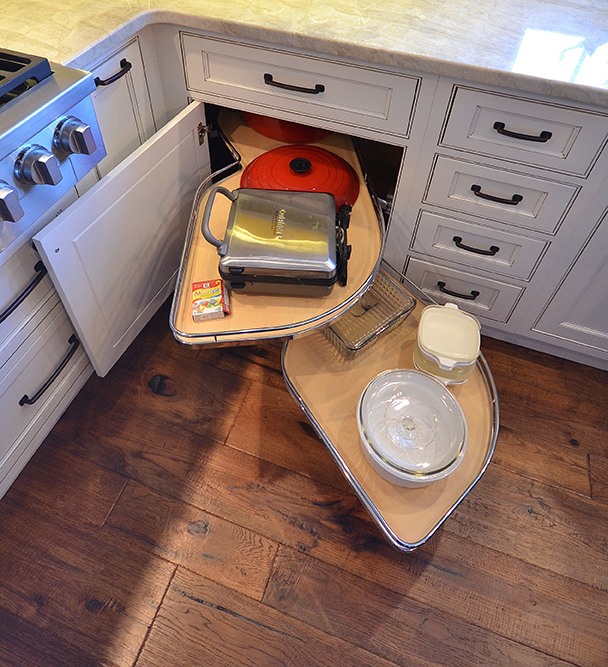 Visit Chester County Kitchen and Bath on Houzz!